Across the city of Gorakhpur, public utility services such as post offices are very beneficial to residents and visitors alike. Right from financial investments and planning, down to communication advancements, post offices in Gorakhpur make life easier for everyone. 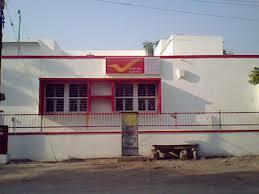 Some of the major post offices in Gorakhpur are mentioned below. Apart from these major post offices, there are a number of postal centers and minor post offices spread across the city. These are listed below.